Daily human actions cause positive or negative side effects on Environment. A city is a kind of Environment that supports a big amount of people daily causing side effects on it. Urban wastes and car driving are typical actions that pollute the city. Smart city treats to reinvent cities making them a good living environment. Wireless Sensor Networks are the base technology of Smart cities. These networks are in charge to sense physical variables that could feedback the behaviour of humans. These sensors usually send data to a cloud server for applying big data technology in order to discover behaviour patterns of humans. In this way a smart city could take corrective actions in order to reduce, for example, polluted air in a critical zone. But the sensors and the backbone network that send data to that server also consume electric power. Usually the wireless backbone elements are always turned on, which could incur a high pattern of electric energy consumption. 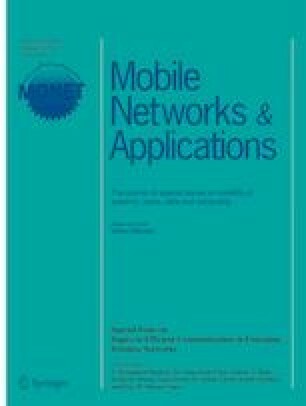 In this paper we present a new mechanism for energy saving in the wireless backbone network. Our energy saving mechanism also allows us to produce a portable wireless backbone network that could be used in several places.